Chrysler Group says it will make the first two months' payments on most new vehicles bought this month in a bid to boost sales after a weak June. 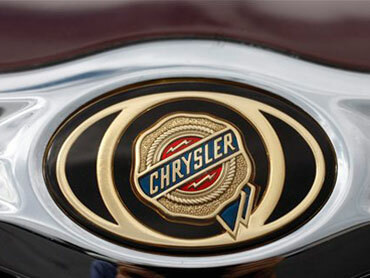 Chrysler will pay up to $500 per month for a total of $1,000 on most vehicles. Customers also get the option of taking $3,000 to $4,000 in cash or making a "regret-free" purchase, in which they could return any new vehicle within 60 days if they're not satisfied. Other July incentives include zero-percent financing on most Chrysler, Dodge, Ram and Jeep vehicles. All the deals are set to end Aug. 2. Automakers have been trying to limit incentives, which erode profits and hurt brand image. But the industry was spooked by weaker-than-expected June sales. U.S. auto sales fell more than 10 percent from May as buyers continued to worry about the economy. Chrysler's sales dropped 12 percent from May. The incentive landscape also has been affected by Toyota Motor Corp., which normally offers few incentives but has pumped up spending since March after a spate of safety recalls. Toyota spent $2,117 per vehicle in June, more than double what its June 2009 promotion spending, according to auto information company Edmunds.com. Chrysler spent $3,295 per vehicle in June. That actually was down more than $1,500 from June 2009, when Chrysler was emerging from bankruptcy protection. Vehicle return guarantees are rare but not unheard of. General Motors Corp. started the trend last fall, when it offered a rebate or a 60-day guarantee after its own stint in bankruptcy. Most customers took the rebate, and only about 50 vehicles were returned. Chrysler offered a similar deal on its minivans in February and March. It wasn't immediately clear Thursday how many buyers returned their minivans. Last year, Hyundai Motor Co. offered to take back vehicles under certain conditions if customers lost their jobs. GM and Ford Motor Co. later offered to make car payments to buyers who lost their jobs.